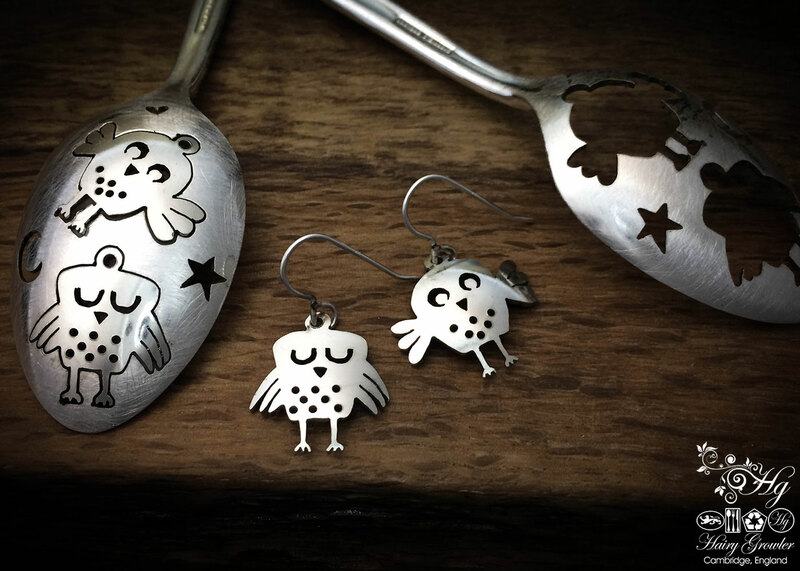 These lovely wee owl earrings have been carefully cut from an old, discarded vintage teaspoon found in a local charity shop in Cambridge, England. 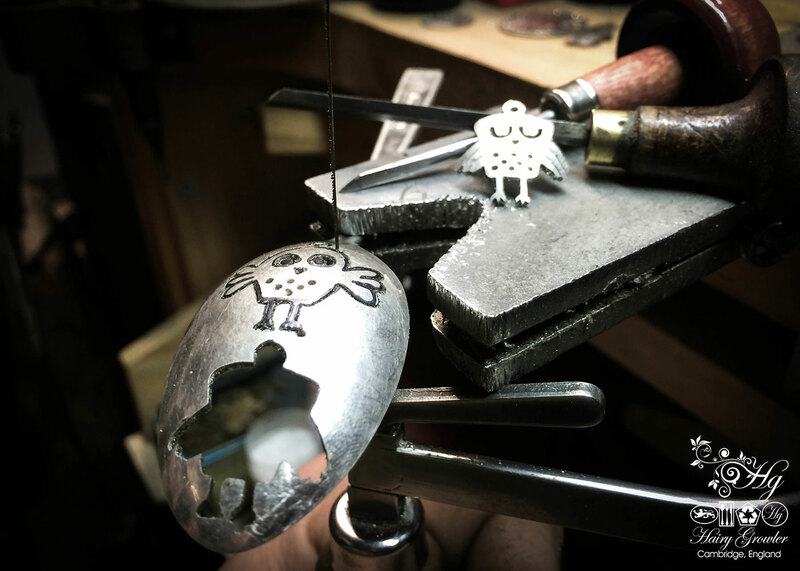 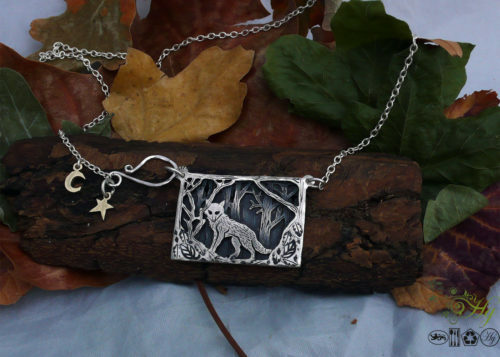 The owls are carefully hand cut, drilled and filed using traditional hand tools, purposefully leaving subtle marks of their making. 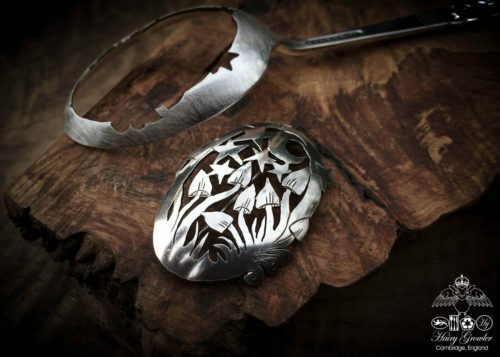 Handmade and completely recycled in Cambridge, UK. 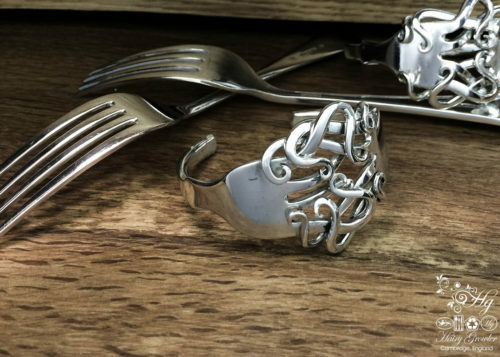 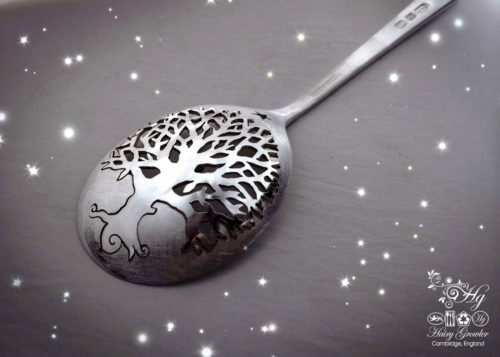 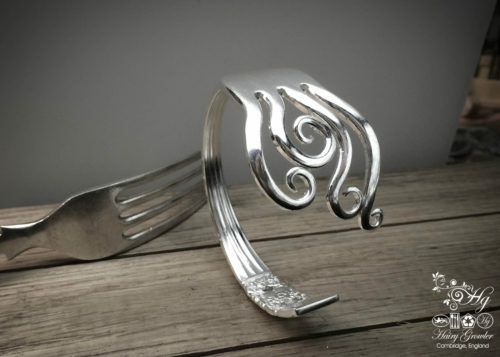 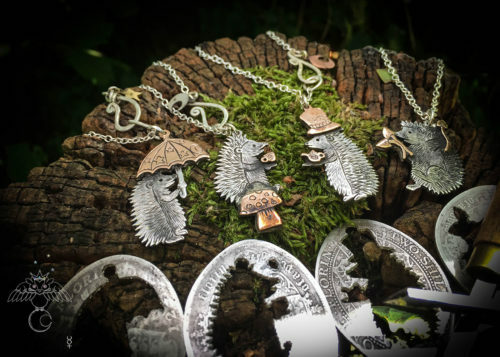 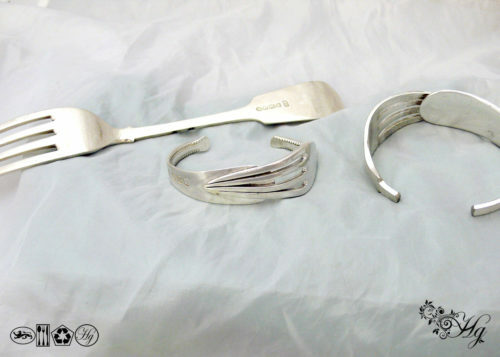 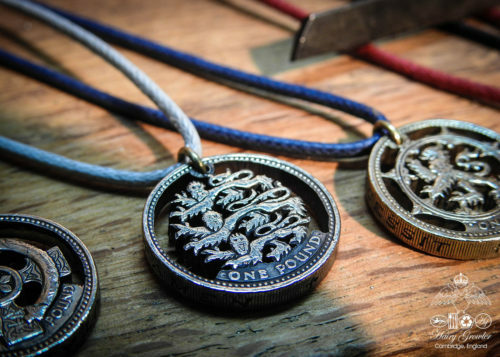 Complete with the finest sterling silver ear wires and the actual ‘donor’ spoon from which your earrings were cut. 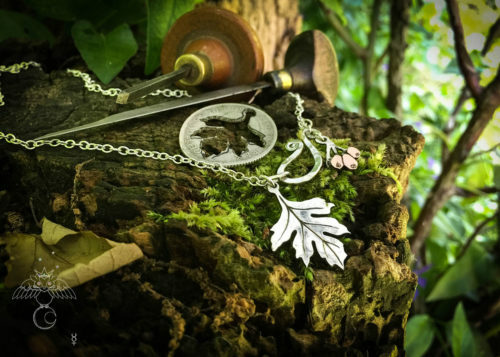 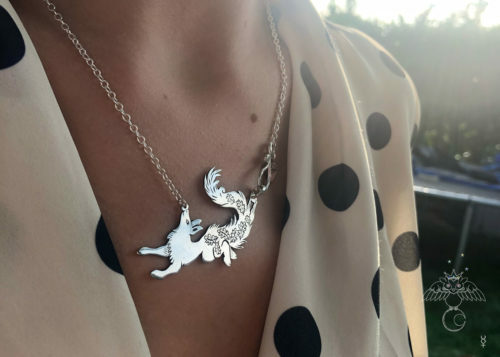 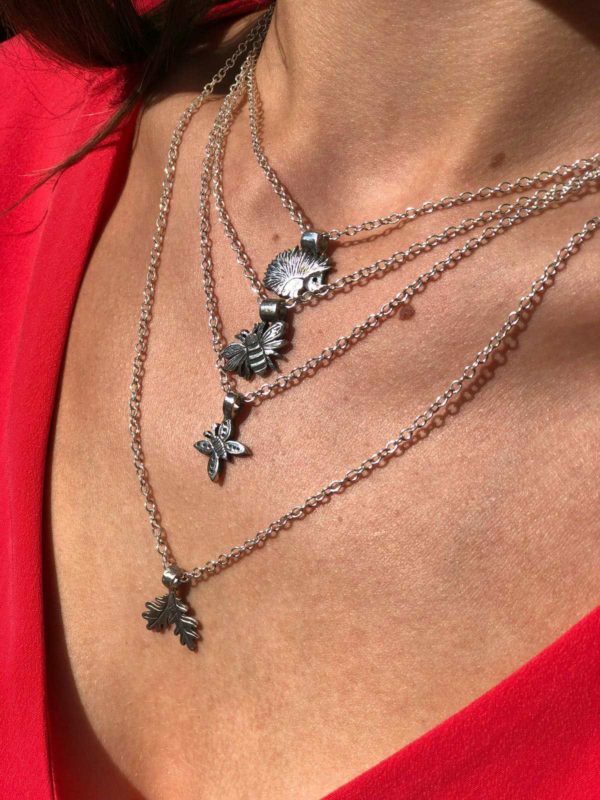 This is a fabulous piece of history which closely connects you with the earrings previous history and green ethical origins. 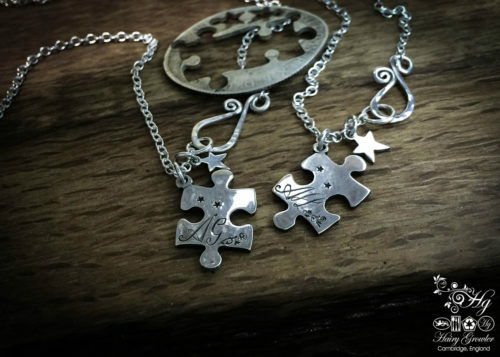 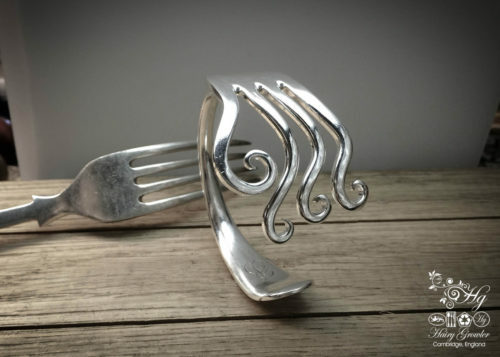 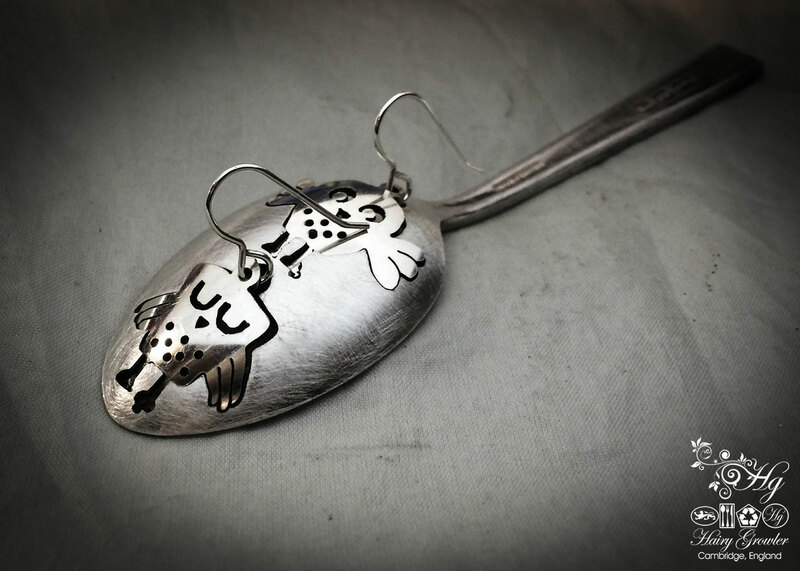 Great earrings & spoon – they made a lovely gift! 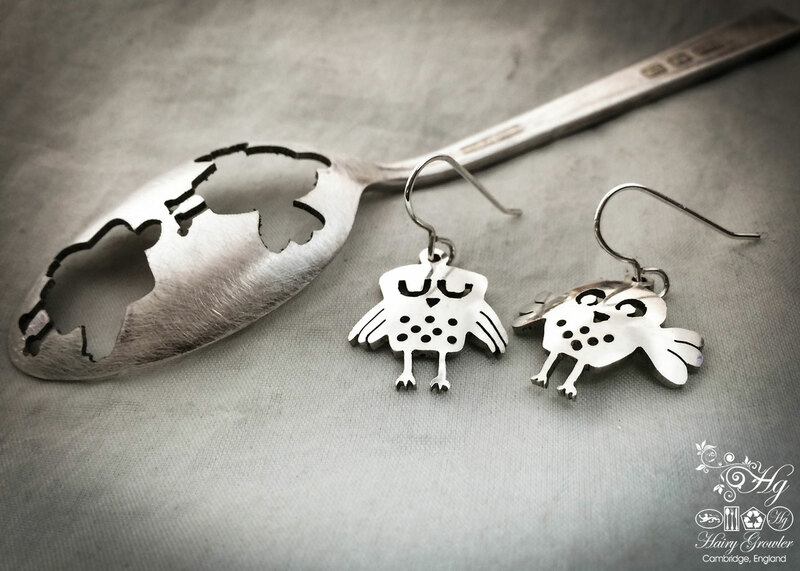 Very cute earrings, my girlfriend (who might have a slight obsession with Owls… ) loved them.